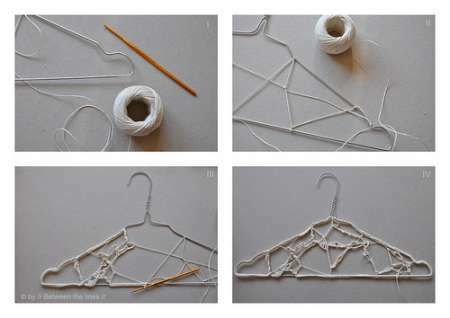 Who could take a simple wire clothes hanger and create a work of art? Now, it could be you or me. With the handy tutorial show here, any of us could become a freeform artist and create a beautiful but practical work of crochet art. There are plenty of other non-crochet ideas on this site for repurposing things you have around the house. Worth a look! Thank you for linking! Makes my day! more like art. it *is* for display? 🙂 thanks for sharing, jd.